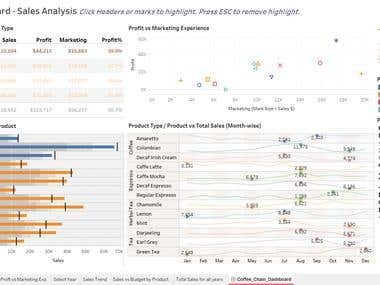 ▪ Design, develop and support interactive Visual Dashboards, Scorecards, KPI Trackers. ▪ Translate business requirements into technical specification. ▪ Hands-on experience in Data cleansing, Data modeling, Data Integration from multiple sources, Data Validation, SQL queries. 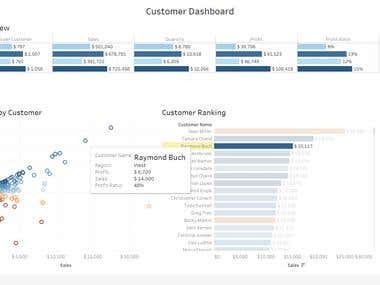 ▪ Business Intelligence Reports using Tableau, PowerPivot, Business Objects, SharePoint BI (PerformancePoint Services, Excel Services). ▪ MIS Reports automation using VBA by creating Macros. ▪ Database design and structural changes to database. ▪ Regular Interaction with team to get requisite & accurate data & analyze data mapping issues. ▪ Apply Business Rules, Data Validation, and Process Documentation. ▪ To write complex queries using T-SQL in support of front-end development, Server side business logic, Stored Procs, Views & Functions. 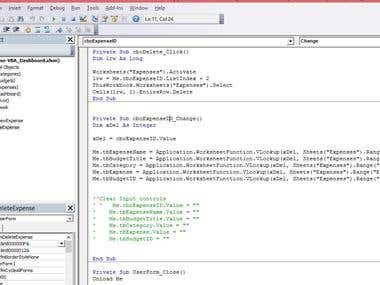 ▪ Developed Front End using MS Access. Report Automation using VBA. Management Dashboard for Top management using MS PowerPoint, MS Excel.